We’d love your help. 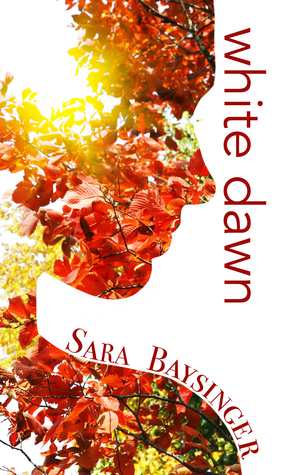 Let us know what’s wrong with this preview of White Dawn by Sara Baysinger. With an insatiable This is the beginning of a new era. To ask other readers questions about White Dawn, please sign up. "Is this what it feels like to really cry?" sang Kelly Clarkson. Yes, I guess so. Were you able to hear my heart breaking into pieces? Now I'm a living zombie. Because White Dawn was the last book in the Black Tiger series, but I'm not ready to let this world go. I'm not ready to let Ember, Rain and Aurora go. Even Titus, who turns out to be someone new in this last chapter of the story. Wow. Just. Wow. That ending, the plot twists that occur during the whole book, everything. Everything was amazing and I don't have any other word to tell you how much I loved this series. Just do yourself a favor and read this. I remember reading Black Tiger and thinking " there's more under that Rain guy" and I was so correct. Ember has always been the apple of my eye and Aurora.. I had divergent feelings towards her. I think I started to like her the moment Rain started to like her. I didn't fully trust her, but here we are. The dawn of a new era. Once I finished reading WHITE DAWN, I went back and reread most of book two, ASHEN CITY, and it helped open my eyes to the power of this novel. WOW! I sooooo understand where Rain is coming from and the deep heartache he had in this novel. Though I certainly don't approve of some of his actions, I get it, and the author did an amazing job of capturing his emotions. Confession: I wasn't as fond of Aurora. I liked her character, but can't deny that I was just waiting for a certain someone to come Once I finished reading WHITE DAWN, I went back and reread most of book two, ASHEN CITY, and it helped open my eyes to the power of this novel. WOW! I sooooo understand where Rain is coming from and the deep heartache he had in this novel. Though I certainly don't approve of some of his actions, I get it, and the author did an amazing job of capturing his emotions. Confession: I wasn't as fond of Aurora. I liked her character, but can't deny that I was just waiting for a certain someone to come back on the screen because I LOVED that character. Aurora has a different voice (though certainly not bad) that took some time to get use to. However, I truly admire Aurora's strength and was amazed at how one person (Ember) can greatly affect the lives around us when we step out to make a change. I was very touched by that message. THAT ENDING WAS AMAZING!!! Yes, I am totally yelling this because it was all I wanted and more! All the struggles, the pain. That ending makes up for it all. Lastly, I will not say who, but I am really thankful for the redemption of a certain character. I didn't know I was needing it until the author wrote it. Overall, this was a much more emotional novel then the first two, but just as good (even if some parts made me a little bit uncomfortable). If you love dystopian, this is definitely a must read series! While the plot continued to be entertaining, I struggled with the switch of point-of-view characters in this book. In the first 2 books, we had one POV character, then in the 3rd book, we had (mostly) 2 POV characters (neither of which was the same character from the first 2 books). Overall, by the end, a satisfying conclusion to this trilogy. First thoughts: Wow! There is a lot that goes on in White Dawn, so I think I'll take it character by character. First up, Rain. I've had a love-hate relationship with Rain throughout the series. Fortunately, White Dawn ended on the love scale. :) Rain wrecked me with his sorrow and with his love for his Ember. I wanted to cry and shake him at the same time, lol. But in the end, he remembered Who is greater and straightened up. Aurora. So it took me a better portion of this book to decide if I even First thoughts: Wow! There is a lot that goes on in White Dawn, so I think I'll take it character by character. First up, Rain. Aurora. So it took me a better portion of this book to decide if I even trusted her let alone liked her. For that reason I'd give Ms. Baysinger an A+. There was no predictability where she was concerned and it made me tense and enthralled with the story all at once. I won't really go into the other characters because then this review will never end ;). Suffice to say, they all make the book better and add some tension, not that this high-octane read needed any more. There were also some interesting scenes in here. I don't want to give them away, because I hate spoilers. But ack! I want to give them away. Each of them made me gasp in their own way. One because holy crawford, I did not see that coming. Another because holy crawford, I wanted to see it coming. And the third scene, because holy crawford, totally epic! ​*I received a free copy from the publisher. This review is my own, honest opinion. I finished this book a few days ago (I was kindly sent an arc from the author for an honest review). Although I really liked this book it is my least favorite in the series. it lacked that very fast paced action that characterised black tiger and Ashen city and I found the first part to be a little boring. besides that, I really really liked this book. the characters were amazing (Rain is still my favorite obviously) and I especially loved Rains Pov chapters. I loved the fact that we actually get to see new places with this book and get to meet new characters, some of them we had heard about in the previous books. I adored all of those plot twists and Sara's writing is truly enchanting. if love to spend more time talking about the growth of some characters and how I see them but it'd be too spoilery. so I'll only say that although there are characters that I've learned to love, there are others that I now hate more than ever, even after they are forgiven by everyone. One character in particular I find really disturbing (I'm not saying that the book is disturbing but just that this specific character disgusts me for hie cruelty). Wow. I had a feeling the last book of this trilogy would be epic, and I was not disappointed! It was interesting to get to know Aurora better as she dealt with the very realistic struggles of making significant changes to an established government. Her narrative wasn't as exciting as Ember's, but I appreciated her distinct voice and the way she worked through her tortured past during the course of the book. Rain continued to be unpredictable and short-tempered, but I loved how the development of Wow. I had a feeling the last book of this trilogy would be epic, and I was not disappointed! It was interesting to get to know Aurora better as she dealt with the very realistic struggles of making significant changes to an established government. Her narrative wasn't as exciting as Ember's, but I appreciated her distinct voice and the way she worked through her tortured past during the course of the book. Rain continued to be unpredictable and short-tempered, but I loved how the development of his character built slowly throughout the entire series. The characters continued to grow in complexity, one of the aspects I've enjoyed all along about these books. With a few showing sides I would've never anticipated! And the plot twists!!! My mind was completely blown on more than one occasion while reading this book. All leading to an ending that wasn't easy but was so very satisfying. I received an ARC for review for an honest review from the author. I loved White Dawn! We get inside Aurora and Rain's point of view, which was wonderful. The characters stayed true to form throughout this book, and there were twists and turns along the way that keep you reading. The back story is woven into this third installment well, allowing us a closer glimpse of the main players thoughts and motives. And the spiritual element grows as the story continues, which I loved. The answer to who i I received an ARC for review for an honest review from the author. I loved White Dawn! We get inside Aurora and Rain's point of view, which was wonderful. The characters stayed true to form throughout this book, and there were twists and turns along the way that keep you reading. The back story is woven into this third installment well, allowing us a closer glimpse of the main players thoughts and motives. And the spiritual element grows as the story continues, which I loved. The answer to who is meant to rule KY is finally answered, and I couldn't agree more. White Dawn, the final book of the Black Tiger Series was a good read. Discover what happens in the country of Ky and all the people we have come to know, such as - Rain, Aurora and Titus. There were some surprising twists with a whole lot of action, revenge, danger, romance and some good and bad surprises. Just a note that there is some language that not be acceptable to all people, but it is a good story and I enjoyed this finale. I received this book from the author for my review and all opinio White Dawn, the final book of the Black Tiger Series was a good read. Discover what happens in the country of Ky and all the people we have come to know, such as - Rain, Aurora and Titus. There were some surprising twists with a whole lot of action, revenge, danger, romance and some good and bad surprises. Absolutely in love with this series! I feel the pain.. literally.. this.book. gut wrenching, heart squeezing book. Great ending for a great trilogy! It is a wonderful read from start to finish. I would recommend it to everyone. First of all, what a beautiful cover! It is perfect and so fresh, brisk, colorful, hopeful, and meaningful to the story. I am still stewing on this third and last installment. It was so different from the first and second books. Everything that was hinted at came to a head in this one. I still didn't expect the twists and turns. I still laughed, cried, was wowed, shocked, and left with many thoughts. There are very powerful themes of redemption and forgiveness, and the struggles to arrive to the First of all, what a beautiful cover! It is perfect and so fresh, brisk, colorful, hopeful, and meaningful to the story. There are very powerful themes of redemption and forgiveness, and the struggles to arrive to them. This is definitely a thriller with adventure, romance, and an odd technological fantasy twist. I will reiterate as I did for the second book's review that each family must decide personally if this series is ok for their family. There are some very serious and tragic elements in this story that left me with a wide range of very strong feelings. There are some very tough moments within it with which I would caution parents to make themselves aware before just handing to their teen.